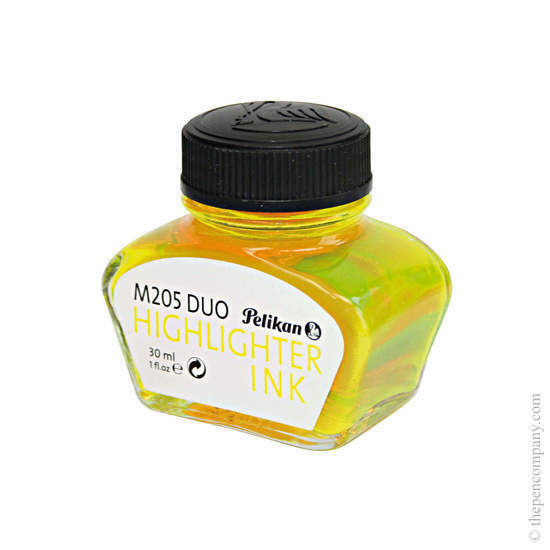 Pelikan formulated this vivid yet translucent ink for their Classic Duo highlighter fountain pen. The 'Duo' name refers to Pelikan's intentions during design; to create a pen and ink combination capable of highlighting important lines in a text, whilst also enabling the writer to jot down their own notes. 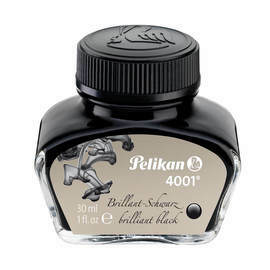 The specially-developed ink achieves the intended goal and Pelikan have picked up multiple awards for their achievement.